Breaking into the music industry is a dream for many but a reality for very few. An artist can even have a massive Internet hit, but there’s no guarantee that the success will stick. However, there are some artists who, through a combination of talent and perseverance, break through the music industry’s concrete boundaries and build a promising career. 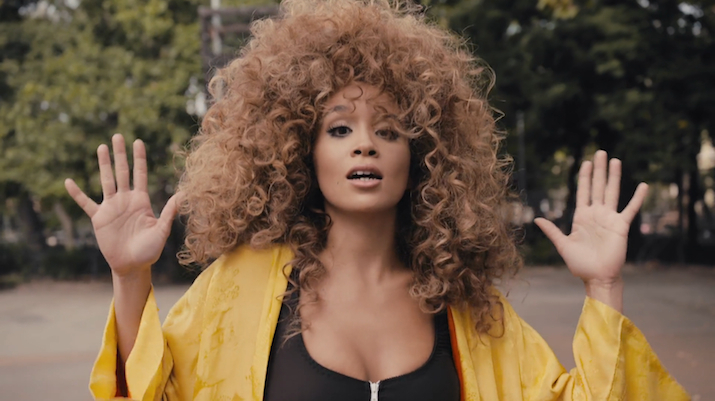 Jillian Hervey, a graduate of Eugene Lang College, is one of those artists. As the frontwoman of the experimental soul/R&B duo Lion Babe, Hervey, alongside producer Lucas Goodman, has released several buzzed-about singles (“Treat Me Like Fire,” “Jump Hi” and “Wonder Woman”), landed a record contract with Interscope and collaborated with the likes of Childish Gambino and Pharrell Williams. Currently, Hervey and Goodman are touring through London; they will return to the United States for a stint at Lollapalooza in Chicago this summer. Hervey’s journey into the music industry began around her time at Lang, where she studied dance. Her senior thesis, the haunting interpretive dance project, “Tracks,” foreshadowed her performances in Lion Babe’s striking music videos. Propelled by Hervey’s soulful voice and expressive dance moves, and Goodman’s sonic talents, Lionbabe is poised for stardom. Check out Hervey’s thesis project and Lion Babe’s videos below, and listen to Lion Babe’s self-titled debut EP, here.